With new restaurants popping up all the time, keeping up with the best brunch in Cincinnati is a never-ending adventure. This popular meal between breakfast and lunch is a time-honored tradition with our friends and neighbors, and the people we meet are always on the lookout for the next must-see destination! We’ve compiled our picks for the sweetest, freshest, and most adventurous places to spend your early afternoons. The Sleepy Bee Cafe is our favorite destination for locally-sourced and sustainable brunch options that won’t leave you wanting more! This casual, friendly eatery is located in the heart of downtown Cincinnati, so if you’re looking for a healthy spot that will please the whole family, you can’t go wrong with the Sleepy Bee. Grand Finale offers a brunch buffet like nothing you’ve ever seen, and on Saturday and Sunday afternoons, it’s guaranteed to fill up fast. Crepes, quiche, blueberry pancakes, and everything in between are up for grabs, and with bottomless coffee available for just over two dollars, you’ll want to spend all day in this elegant family restaurant. When you step into the Northside Yacht Club, this gastropub’s wood ceiling paneling, hanging lights, and nautical decorations will have you feeling as though you’ve walked into a fairy tale. The NSYC is a bar and a music venue with an outdoor seating area, but don’t let their ability to multi-task fool you: their more-than-competent kitchen staff does brunch like no one else. Their menu features everything from poutine to hot wings, and their Yacht Club Bloody–a meal unto itself–is certainly not to be missed. The innovative chefs at Quan Hapa give brunch their own twist with matcha french toast, daring, delightful cocktails, and create-your-own congee rice porridge. 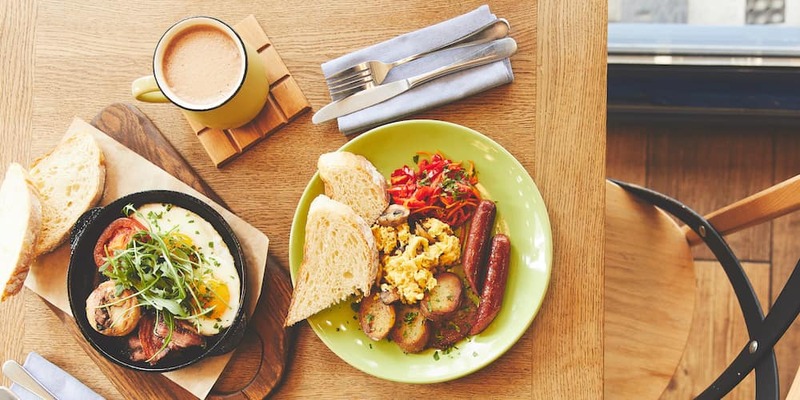 Those on the hunt for a spicier, more savory brunch will quickly fall in love with this Over-the-Rhine destination, and since their whole menu is served all day, it’s easy for everyone to find a satisfying meal. When you’re looking for things to do in the Cincinnati area, you can trust your neighbors at Mercedes-Benz of Cincinnati to point you in the right direction. We’re in constant conversation with folks from all across the region, and we don’t have to go out of our way to learn about the most exciting destinations in our area. Whether you’re looking for the best brunch in Cincinnati, fun things to do in your neighborhood, or the best date spots in the area, you can count on our blog to keep you informed.